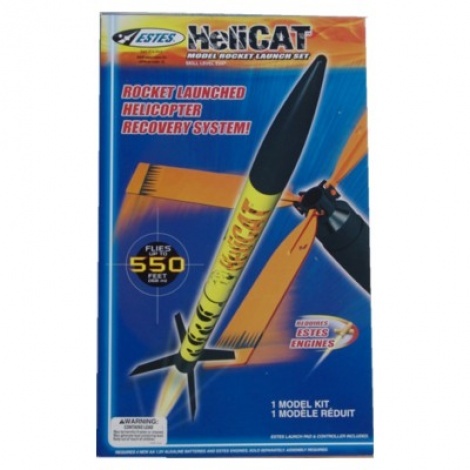 Model Rocket Starter Kit including helicopter recovery system kitset rocket with parachute, launch pad and electrical launch controller. Disposable model rocket motors and flameproof wadding sold separately. Kit can be flown over and over again by fitting another motor and wadding.